Summer is in full swing. Hopefully you have taken advantage of it and managed to enjoy lots of field work and vacation time during this nice weather! Since the AGM on May 25th at the Halifax Central Library, the GANS Board has been busy working together behind the scenes, creating ways to better serve members and further promoting the geomatics sector. As always we are standing on the shoulders of the giants who have already contributed so much. Also we would appreciate it if you could please forward the survey to any of your friends and colleagues within the geospatial community that may not be on the GANS email list. We know that Nova Scotia has a large geospatial community, and we want to bring them all together from all sectors that practice geomatics. Below you will find some details about upcoming events, recent events and other GANS news, and as always, if you have any questions, concerns, or feedback then we would love to hear from you. The conference committee is pleased to announce that Karl Kenny, CEO Kraken Robotics will provide a keynote presentation on November 14th. This years conference includes several topics on innovation and overcoming complex problems in marine data collection and will feature keynote Karl Kenny, CEO Kraken Robotics. Karl Kenny, CEo of Kraken Robotics has over 30 years of technical and executive experience in communications, electronic navigation systems, and digital imaging. Kraken Robotics is a marine technology company, founded in 2012, that is dedicated to the production and sale of software-centric sensors and underwater robotic systems. The company is headquartered in St. John’s, Newfoundland with offices in Nova Scotia (at COVE); Germany; and the US. Karl was twice named as a Top 50 CEO by Atlantic Business magazine. 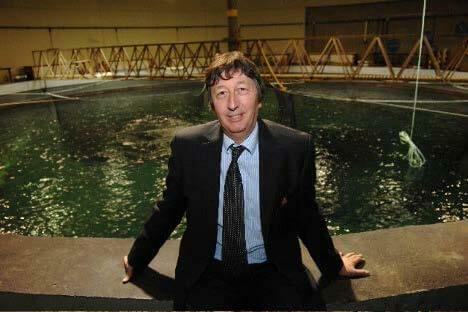 He was inducted into the Newfoundland and Labrador Business Hall of Fame in May, 2012. Karl also serves as an entrepreneur mentor at Memorial University’s Genesis Centre. The Geomatics Atlantic conference committee are pleased to announce that Doug Wallace, Scientific Director MEOPAR will provide a keynote presentation on November 15th. This years conference includes several topics on innovation and overcoming complex problems in marine data collection and will feature keynote Doug Wallace, Scientific Director MEOPAR. MEOPAR (Marine Environmental Observation, Prediction and Response Network) is an independent not-for-profit, that funds research, trains students, mobilizes knowledge and communicates results for marine risk and resilience; tackling marine challenges and opportunities for the benefit of the Canadian economy and society. Dr. Wallace, Scientific Director with MEOPAR is a world leader in developing new technologies to measure changes in the world’s oceans. Ted MacKinnon was awarded the 2018 David Keefe Award of Distinction for his continuous support of promoting geomatics. This year, at the GANS AGM, he was surprised to find out that he was nominated and delighted to receive the honor. Ted has been actively helping to promote the Geomatics sector here in Nova Scotia as well as all across Canada for more then 15 years. 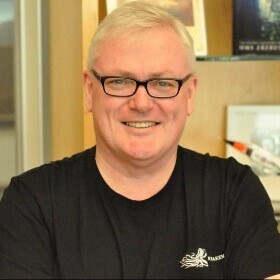 He actively volunteers in several professional organizations at a multitude of levels including GANS, (where he has served as President for 2 years and on the Board of Directors for the past 5 years), the Canadian Institute of Geomatics, Canadian Cartographic Association, Canadian Remote Sensing Society, and the Royal Canadian Geographic Society. Ted has built a solid online presence with over 50 thousand followers on Twitter, facebook and LinkedIn, that he uses to help reach the broader geospatial community, to share information about Canadian issues such as geography education, open data, events, jobs and much more. Everything is connected to everything else! I recently wrote an article on Ken Bragg of Safe Software & in the course of our conversation when Ken said he had attended COGS, I asked if he knew Dave MacLean. It turns out that he graduated before Dave started teaching, but that he had heard of him. As with all COGS’ faculty, Dave is well-revered in geomatics and education circles in Nova Scotia, and all have had the privilege to influence a great number of students. Those graduates have gone on to wonderful, fulfilling careers. In time, I met Jon Murphy from Ottawa of GoGeomatics through the Royal Canadian Geographical Society of which we are both Fellows. Jon later connected me with Ted MacKinnon. Sure enough, Jon and Ted had gone to COGS. They both knew Dave MacLean too, through COGS and GANS. Turns out that Ted and Dave are both Fellows, too. More connections! As an educator, one of my favourite quotes is, “A teacher affects the future.” Therefore, I could only conclude that Dave, as an instructor and role model, has been influential in mentoring countless students, leaving a valued legacy to his profession. challenges and distractions over the past year, are delighted to announce the selection of Daniel Bryce as GANS new Administrative Coordinator. Daniel has worked with non-profits, professional associations, and political organizations for over a decade, as a volunteer, director, founder and employee. He has organized numerous events from lunch & learns, to art & music festivals, to election campaigns. He hopes the experience he brings will help GANS promote the geomatics sector throughout the province. With a Master's in Planning from Dalhousie University and a certificate in GIS from the University of the Fraser Valley, Daniel also knows the importance of displaying and analyzing data spatially for successful planning. He has Planning and GIS experience in Western Kenya, Northern Alberta, Coastal Tanzania, British Columbia, and the Maritimes, Daniel has mapped and analysed information for the benefit of various government, private sector, academic and not-for-profit projects. In Halifax, Daniel has taught Introductory Geography at Dalhouise University and worked on projects for the Province of Nova Scotia, CBCL, Upland Urban Planning and Design Studio, Urban Perspectives Landscape Architecture & Urban Planning and TEAL Architects on topics related to lidar data collection, spatial data management, park master plans, subdivision development, active transportation, coastal climate change adaptation, social vulnerability and open space planning. As administrative Coordinator, Daniel will support GANS in achieving its mission and objectives through program development and administration duties. So please join us in welcoming Daniel to the GANS Board. A new on-line tool will make it easier for people to find information on doing business in the Strait region. 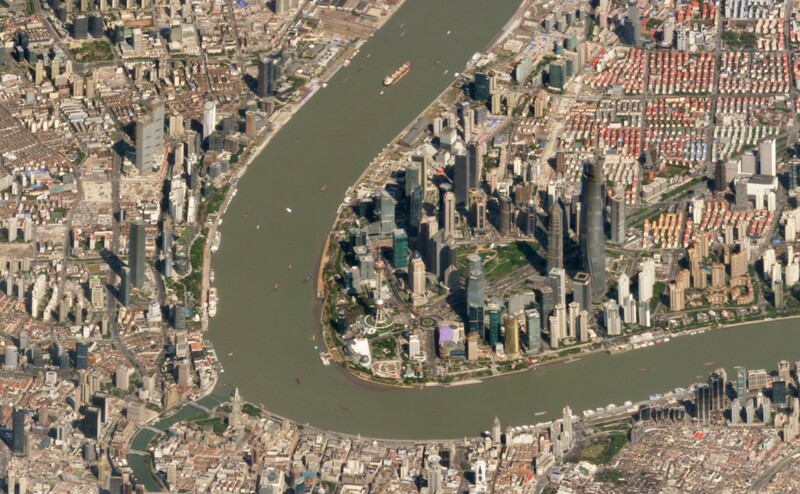 On January 22, the Eastern Strait Regional Enterprise Network (ESREN) celebrated the launch of their Economic Development Investment Mapper (EDIM). ESREN’s new database allows users to access this information on-line in one place. The program also includes other information that would be pertinent to industry, such as forestry and agricultural data, and information on transportation. Users can view the information in a user-friendly map format. ESREN has worked with Bluejack Consulting Inc. to develop the database. Chris Turner, president and co-owner of Bluejack Consulting says the program is best described as an interactive Web map viewer for investors. He said that providing accessible data is crucial to demonstrating the Strait area is open for business. The investment database can be accessed by the public free of charge at: esren.ca. Hugh MacKay, ( a recent past president of GANS) was elected to the Nova Scotia House of Assembly as MLA for Chester-St. Margaret’s in 2017. Before becoming a MLA, Hugh was as a consultant in the geomatics sector, served as president of GANS in 2015-16, was the Executive Director East of GeoAlliance Canada and the Founder and Director of Doors Open Halifax. 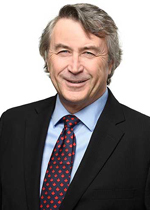 With the Liberal Government Hugh serves as the Ministerial Assistant to the Minister of Business, Vice Chair of the Economic Development Committee, and member of the Private & Local Bills, Public Accounts, Resources and Veterans Affairs Committees. 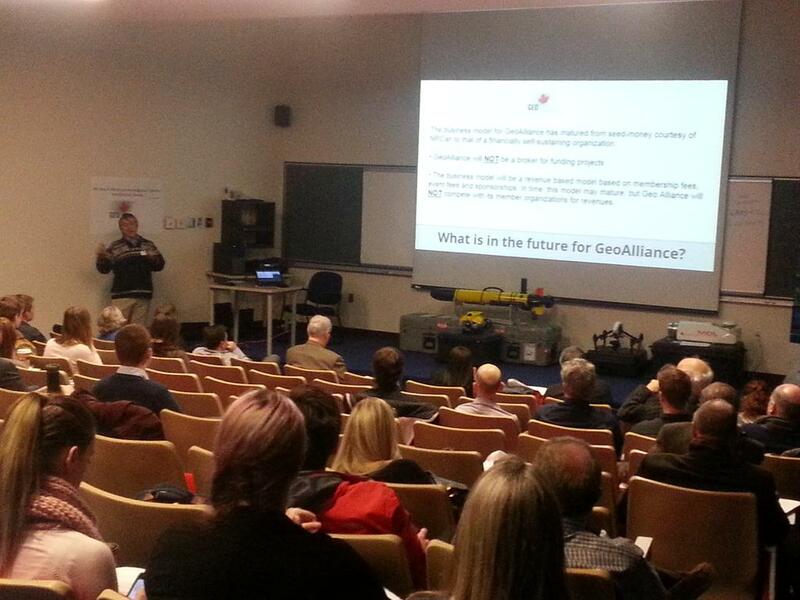 On September 25th Hugh had a chance to address the Nova Scotia Legislative Assembly, and took the opportunity to put in a plug for the geomatics sector. Below is part of the September 25th proceedings from the Hansard Transcripts containing some of Hugh's comments on geomatics. 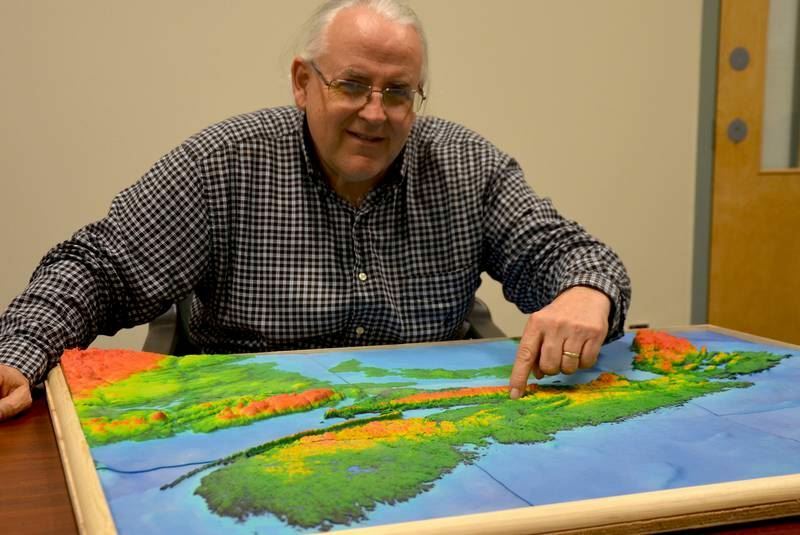 Thanks to Hugh for continuing to help GANS advocate for educating others about geographic information and further promoting the geomatics sector in Nova Scotia. "Mr. Speaker, after studying at Dalhousie, I attended the College of Geographic Sciences in Lawrencetown, Annapolis County. This renowned college, known by the acronym COGS, was founded in 1949 as the Nova Scotia Land Survey Institute. COGS has trained generations of Nova Scotians, in the fields of land and marine surveying, mapping and geographic information systems, or GIS. Surveying, mapping and GIS, are collectively referred to as the geographic sciences, or geomatics, and this has been the basis for my professional carer until my entry into politics. Mr. Speaker, I enjoyed a very satisfying and rewarding career in the ever increasing high tech world of geomatics. For many years I worked in the Ottawa office of an international mapping company. Although my activities were primarily focused in Europe and North America, I worked in Senior Project Management and Business Development roles from Kazakhstan to Indonesia, from Argentina to China, and from Yemen to India. Mr. Speaker, I have had the good fortunate to work in 40+ countries spanning the globe. Mr. Speaker, the siren call of Nova Scotia finally called to Mary Lynne and me and we returned to our native province, taking up full time residence in Glen Haven, on the shores of beautiful St. Margaret’s Bay. 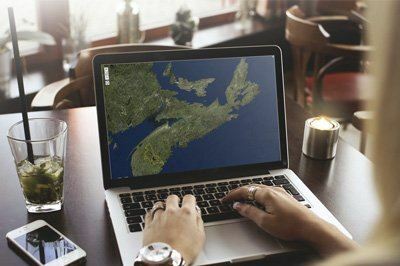 Upon arrival in Nova Scotia, I opened my own geomatics consultancy, representing a mix of national and international clients, with particular emphasis on Asian and European clients. I became an active member of the Geomatics Association of Nova Scotia, or GANS, and I am a proud Past-President of that organization. I also took on the position of Executive Director of GeoAlliance Canada, the umbrella association for geomatics organizations across the country, representing both industry and the public sector. Mr. Speaker, it is from my previous geomatics career, I bring to your attention, a somewhat different perspective on a position of this House. 44 degrees, 38 minutes north; 63 degrees, 34 minutes west. That, Mr. Speaker, is the geographic position of this House, as noted on the commemorative plaque located on the south west corner of the grounds of Province House. Many of our members may not realize that directly behind the statue of Joseph Howe, there lays a plaque titled, “Surveying for the Future”. Mr. Speaker, the survey and mapping professions, have an unparalleled history in Canada. From the early French explorers who accompanied Samuel Champlain, followed by the British Royal Navy that first charted the waters and headlands of the New World’s coastline, to modern day ocean mapping, and satellite imaging of our province and the world beyond, Canada, and Nova Scotia in particular, have been global leaders in the adaptation and application of geomatics to support our nation’s development and protection of our global environment."